Successfully Added Ultra Bright LED Headlamp to your Shopping Cart. 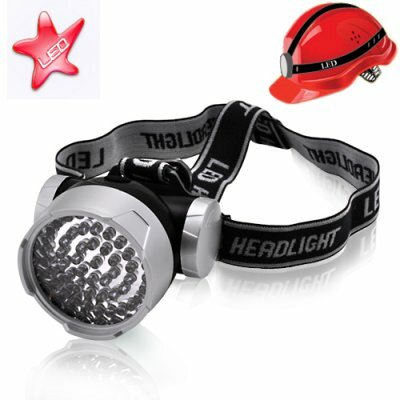 Great new LED headlamp gadget for construction, engineering or any other professionals who work in spaces with limited lighting. This LED lighting gadget is both comfortable to wear and easy to use. This ultra bright LED head lamp comes with 44 LED's and is designed with 4 brightness settings that lets you chose the level of brightness that is required for each scenario. Its ergonomic design means that it can be adjusted to suite different helmets and heads as well as being able to wear it with or without a hellment. Let's not forget, this LED head lamp is designed for use in multiple scenarios and comes with an adjustable fit as well as adjustable angle control to allow for easy use to provide great illumination of areas with limited lighting. Best of all, its light weight design makes it easy for you to go about your work with ease and comfort. This excellent LED gadget is brought to you by the leaders in china wholesale electronics, Chinavasion. Click "Add to Cart" now, and we'll ship you a sample straight away. This LED head lamp makes an excellent wholesale electronic gadget for drop shippers and reseller alike. Click "Add to Cart" now, and we'll ship you a sample straight away. As always, Chinavasion wholesale electronics brings you the coolest gadgets at a factory direct price with 12 months warranty..